This is a pleasant DOC managed walkway on a reserve outside Carterton. From the carpark there is a short walk and after 200 metres there is a loop walk going left and right. There is a boardwalk over swampy areas. Approx halfway round there is a one-way track leading to Ruamahanga River (approx 20 minutes walk each way). The Kahikatea walk takes about 15 minutes. From Carterton follow Park Road to the end, turn left into Carters Line and right in to Gladstone Road. 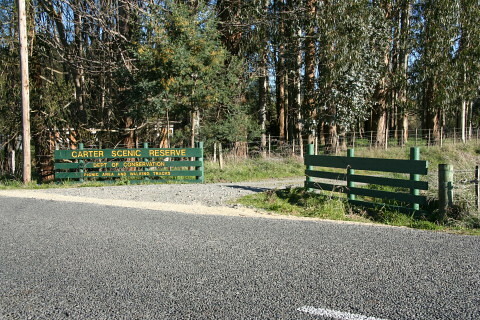 The reserve is signposted approx 3 km along Gladstone Road on the right. There is a carpark about 500 m down the driveway.